Take advantage of our September Membership Drive and sign up today! The first 30 members to sign up during September’s 30 Days will get a 30% discount off their first month’s membership. So, what are you waiting for? Martial Arts are a fantastic way to stay in shape, unwind and de-stress from a busy work day, and spend quality, family time. Simply come in during the month of September and sign up. But, don’t wait too long! Only the first 30 new members can take advantage of this offer! Try a 1-hour, private Meridian Flexibility and Muscle Resilience session with Olympic and Pro Athlete Trainer Cat Fitzgerald. Drop in and pick one up for the special Fall price of $200 (regularly $250) or two (2) for $350 ($175 each, regular price $500). Use promo code MuscleHealth1 or MuscleHealth2 at checkout. Help your loved ones feel empowered to live freely and safely. Sign your family up for an Anti-Bullying, College Prep, Family Safety, or Women’s Self Defense Workshop! 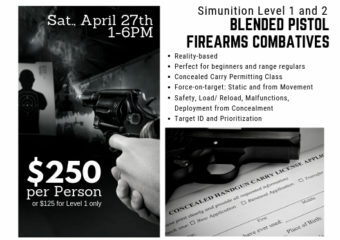 Gather up their friends and make a group reservation (minimum of 4 participants required) for your private ASSERT Empowerment and Self Defense 4-Hour Workshop at a special price of $40 per person (regular price $50 per person). Call or drop by to book your workshop and remember to mention this special offer. If you have any questions or simply want more information about our programs, please visit us in person at 4910 Charlotte Avenue (Mon-Fri Noon-8PM and Saturdays from 10AM-1PM), via email by following the Contact Us menu link above, or calling us at 615-473-1739 and talk to one of our Martial Arts and Fitness experts.